Tesla CEO Elon Musk got closer to his promise of a mainstream, $35,000 electric vehicle this week with the announcement that they will start building mid-range Model 3s. The car will sell for $45,000 with a range of 260 miles and a top speed of 125 mph, Musk said on Twitter Thursday. That sticker price is still $10,000 more than the low-end Model 3 Musk promised in 2016, though he argues the true cost, including federal and state tax rebates and fuel savings, would put the car's price at about $31,000. The car could be delivered in four to six months, he said. Musk also touted a new simple ordering page for the Model 3. Current Model 3s are high-end versions with dual motors, larger battery capacity and a top speed of 155 mph. It remains to be seen when the low-end Model 3s will be delivered. Tesla shares were down Friday morning following the news. 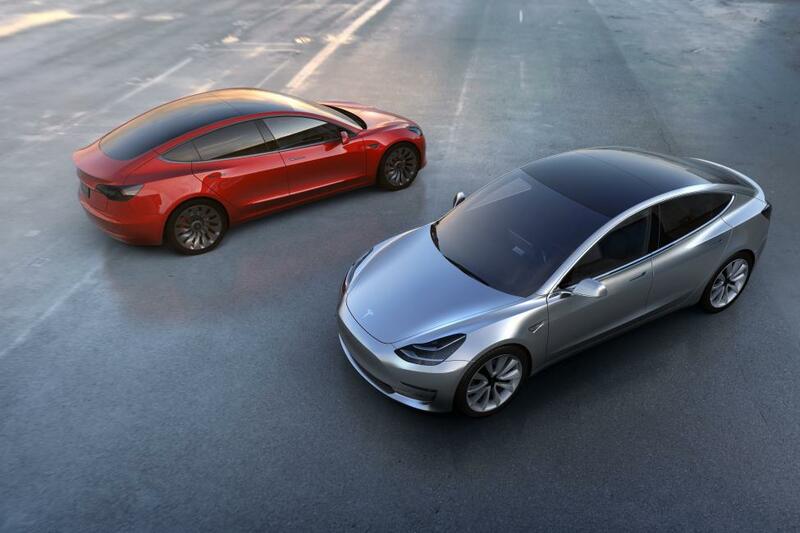 "For us, the release of a middle ground Model 3 seems a logical step," a team of Evercore ISI analysts said Friday. "However, for the stock, we don't believe this new model will change the entrenched positions of most Tesla followers." Tesla also announced a new battery cell will be used in Model 3s that has fewer cells. Musk called Tesla a "real car company" after meeting its goal of building 5,000 Model 3s per week. Tesla built more than 53,000 Model 3s in the third quarter, up from 28,578 in the second quarter. Musk stepped down as Tesla's chairman last month as part of a settlement with the Securities and Exchange Commission over a tweet in which he said he would take Tesla private if the stock price reached $420. Also as part of the settlement, Tesla has enhanced controls for Musk's communications that contain material related to the company and its stockholders. Overall, the stock has fallen 30 percent since Musk's Aug. 7 tweet about taking the company public.